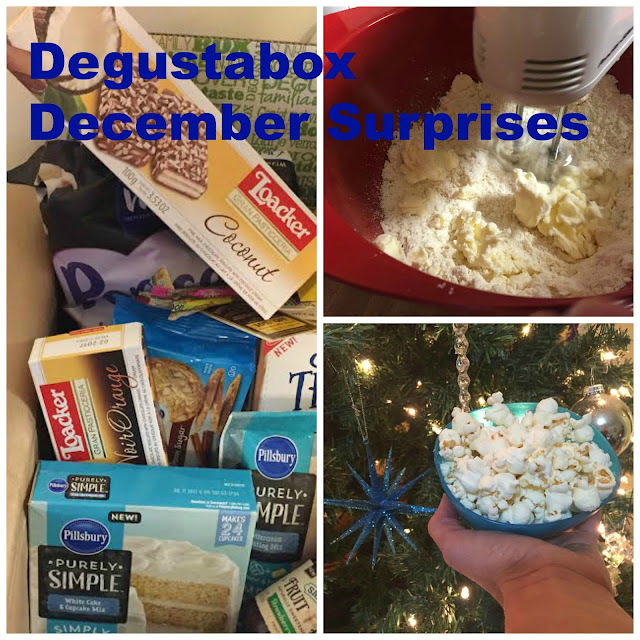 December is certainly full of surprises and this month's Degustabox certainly brought quite a few to our household! I have been thoroughly enjoying my experience with this monthly big box full of edible discoveries! In the past, I was a tad hesitant to join one of these subscription services. After experiencing this service for the past few months, I now look forward to the next shipment of surprises with excitement! Immediately, my daughter noticed the Pillsbury Purely Simple Mixes and requested we bake a cake. So, bake a cake we did! Of course, I had heard about Pillsbury before receiving my Degustabox. However, this surprise introduced me to their Purely Simple line which does not have any artificial ingredients, preservatives or coloring. A nice change! Baking was easy and we ended up with a nice family treat and some mother-daughter time! 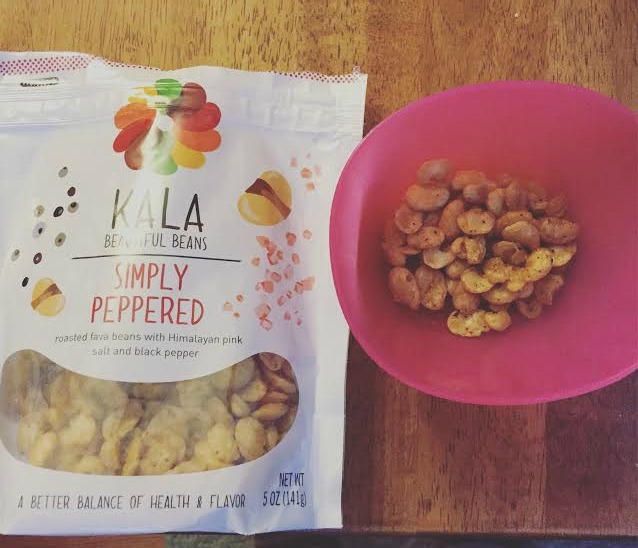 One of my favorite finds in this month's box happens to be the Kala Beans -- a yummy bean snack! I love them because they are a healthier snack option and mighty tasty. I tried the Simply Peppered. I am totally a new fan! Another snack option in this month's Degustabox -- White Cheddar Wise Popcorn. 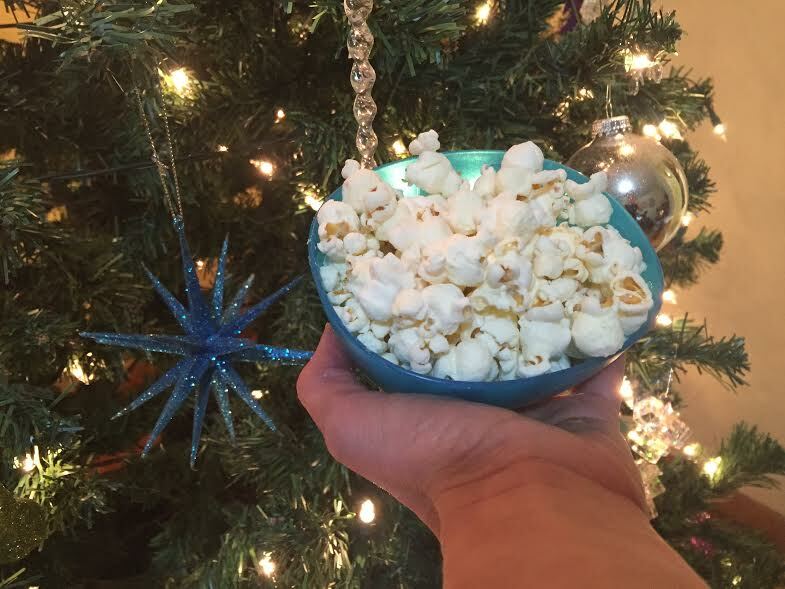 What a great option for snacking around the tree! I also enjoyed having some wafers to add to me afternoon tea habit. 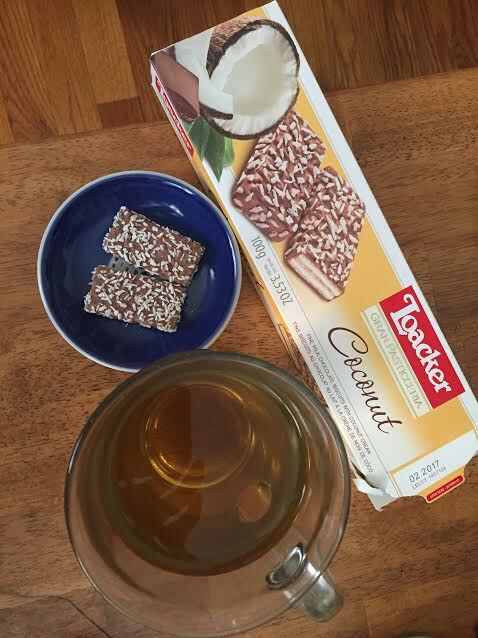 Loacker wafers are quite delicate, so a nice add on to afternoon tea. 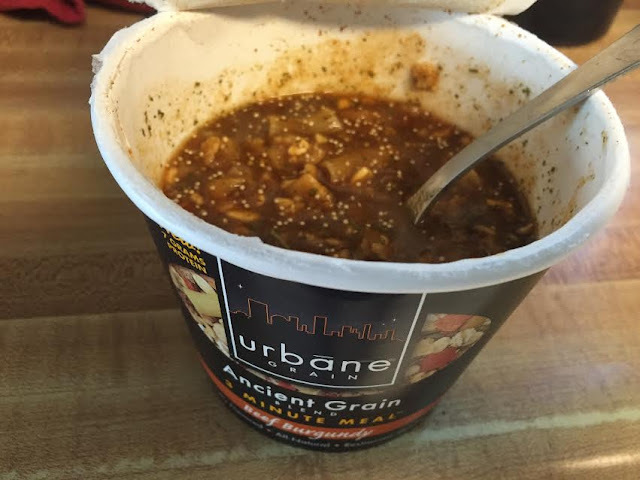 I also tried the Urbane Grain 3 Minute meal when in a pinch for lunch. Quick and easy with a pleasant mix of grains. Degustaboxes also can contain recipe ideas using the products and coupons. Score! As you can see, Degustaboxes are quite fun! My daughter greatly anticipates receiving our next one so fun for kids! Who doesn't love surprises? January and February can be tough months with fewer activities. I think Degustaboxes may add much needed excitement!